The costume is made in the first half of the 20th century and is thought to originate from the Tengushevsky district of Mordovia. 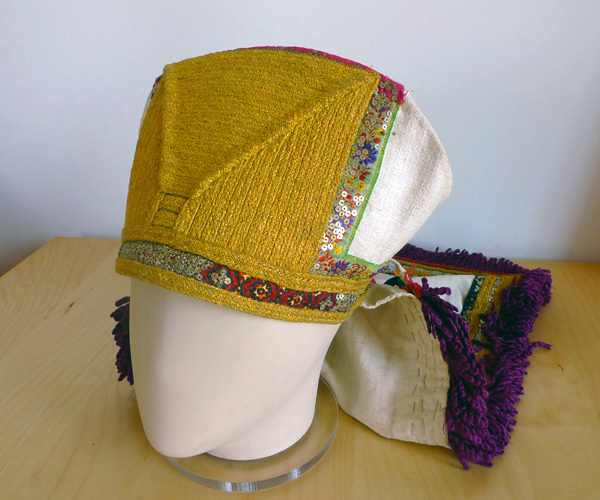 The name of the headdress, “Sorka “obviously comes from the Russian word denoting forty, which confirms its style also: high, similar to the Russian "shovel” kichko headdress with gold embroidery on the front, and a long, decorated with wool fringe and numerous embroideries on the flap that covers back of the neck. 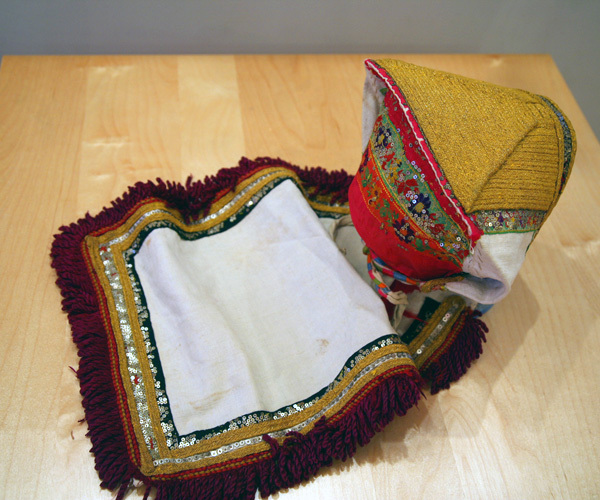 Sorkas were made ​​in different ways: some were low and flattened, while others were peaked up in the middle. 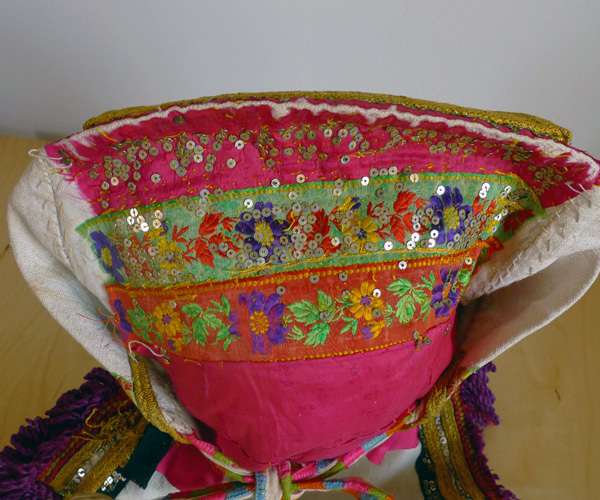 Both overhead and occipital part were embroidered with woolen threads, on top were fixed coins, sequins, decorated copper chains, silver, beads. 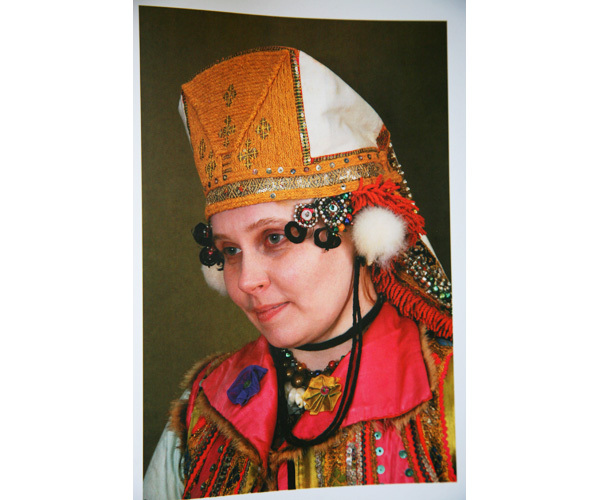 The Erzya women living on the Volga River, put the sorka first time for their marriage, then they would put it on every day.